The Consumer Electronics Show (CES) 2016 in Las Vegas was a fairly good indication that companies are well and truly embracing the “make everything connected” philosophy. The Internet of Things (IoT) phenomenon is out in force, as is the theory that consumers want pretty much every household appliance and luxury item to come with some form of smart, connected capability. 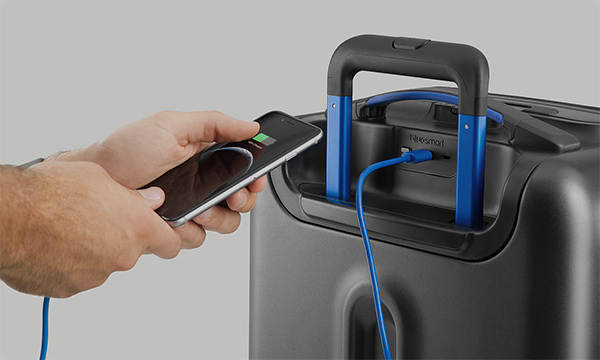 Some things are just a little over-the-top, but this Carry-on luggage by Bluesmart actually makes perfect sense in this crazy connected world. Travel luggage is one of those things that has never really changed or gotten with the times; you get a large carry case that goes into the plane, train or bus storage for the duration of the journey. Most of us also take on some form of carry-on luggage that can remain with us during the flight. 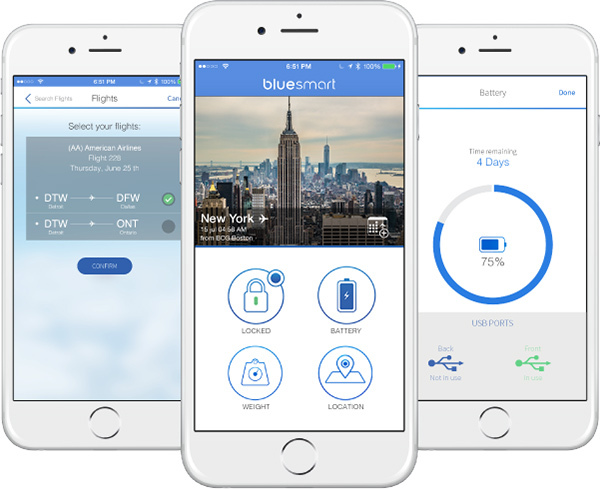 Bluesmart isn’t looking to entirely change how we operate with our luggage, but it has created the Carry-on which carries some intelligent features, allowing those who love to travel to connect directly to the luggage using their smartphone, so that certain elements can be tracked. 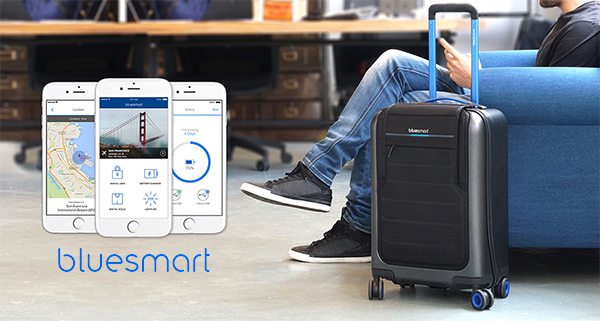 The Bluesmart Carry-on is a suitcase that connects wirelessly to your smartphone so that you can remotely locate it, lock it, and even weigh it. The mobile app lets you see all your data and travel history in one place. 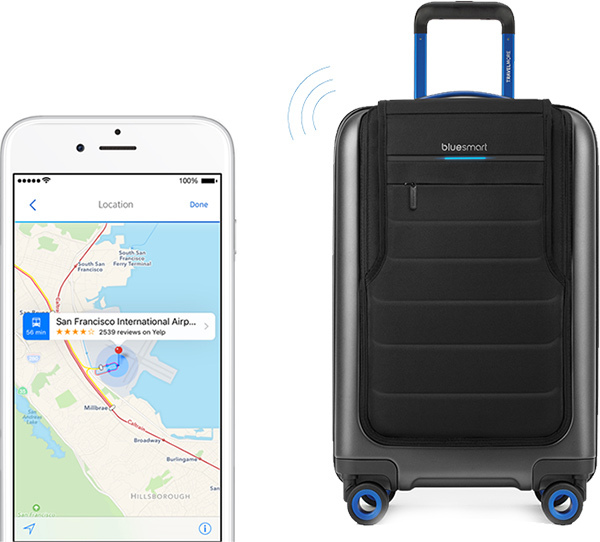 Bluesmart is more than a suitcase, it’s your personal travel assistant. There are a host of features packed into this smart connected bag; such as a GPS location tracking using the provided app for smartphones, remote locking and unlocking, and brace for it – the weight. Yes, simply pull on the main handle and the connected app will relay the bag’s weight directly to your smartphone which is simply brilliant for those worrisome about their luggage weight. What makes this particular product even more appealing is the fact that it also comes with a built-in 10,000mAh battery pack to provide on-demand charge to any smartphone or mobile device without having to find one of those pesky, expensive airport charging stations. Bluesmart claims that the fully-charged battery can provide up to six charging cycles on the iPhone before it needs to be charged up itself. If you’re on the lookout for a smart travel assistant built into a set of pretty attractive looking luggage, then the Bluesmart Carry-on is available for $399.00 right now. There’s definitely worse things to spend 400 bucks on if you’re a frequent traveler.